I read an article the other day listing five video games or franchises that are just begging for a movie. The author included The Legend of Zelda. While I would love a Zelda movie, I’m not convinced it should happen. Probably the best option, the least of all evils should a movie version of any LoZ title be made, is that the game’s script writers create a brand new Zelda story and write it as a screenplay straight off the bat, bypassing the game platform entirely. Why would this perhaps be the least of all evils? Doing it this way would ensure the story was cohesive start to finish and made sense outside of the gaming world. Think about it. If Ocarina of Time were adapted to a movie, what story would be told? They’d probably forgo Young Link’s adventures through the Deku Tree, Dodongo’s Cavern, and Jabu-Jabu’s Belly. But that’s not right because that’s so much of the setup to Adult Link’s journeys in the Hyrule of the future. So if they focus only on Adult Link, where do they focus? How do they incorporate freeing the sages, earning their medallions, and the final fight against Ganon(dorf)? They can’t. They’d have to find a way of him freeing the sages, but without it feeling disjointed and like so many superhero sequels that have too many villains. Now, if Peter Jackson got his hands on Ocarina, and money became absolutely zero object, he could make an 8 movie series, one for each temple and show the entire journey. If any Zelda title were to successfully be adapted to the big screen, Twilight Princess and Skyward Sword are the most likely candidates. I say SS only because Girahim is such an ever-present villain and the one who sets bad guys after Link that he could more easily be made into the film’s villain. TP you’ve got the single object being searched for and that leads to the villain fights. Which would more easily be adapted to the big screen as well, fitting a standard 3-act structure a bit better. I’d still be nervous sitting down in the theater no matter what happened if a Zelda movie were ever made. Another week of the month, gone. How are your WiPs going? Goal #2 states to finish my Woven rewrite by the end of February at the latest. Well, when I wrote that goal I didn’t realize just how close to the end I was. Or how smoothly the last bit would go. I officially finished the rewrite last Friday. 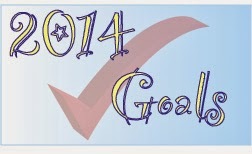 It’s been sent off to a trusted beta for critique and I’m well on my way to meeting my goals for the year. After feverishly writing all last week (some days more feverish than others), I succeeded in accomplishing goal #1 for the year. Goal #1 was to finish the superhero book by mid-January. Well, by my calculation mid-January hit today. And I officially wrote “The End” on draft one of the novella on Saturday. The book is rough and would need a lot of editing. I’m still trying to determine the relative futility of editing and polishing the book. You may have seen my Tumblr posts or Twitter posts about wanting to cry on Saturday night. It was in relation to a book review I read on a geeky news site I follow. One about people with super powers. One about people with superpowers eerily like mine. A book which I had not heard of let alone read before Saturday night. So, goal #1 accomplished and onward toward accomplishing goal #2. There are a few books this year I’m looking forward to. This list is in no way meant to play favorites or anything. They’re just the ones I know are coming out and are already on my radar. I would love to add more books to this list. In fact, if I’m going to meet my Goodreads challenge this year, I need to add more. I especially want to start diversifying my reading list. I’d love recommendations if you have them. YA preferred though I’m open to others if they’re not too salty. UF and fantasy, even some sci-fi if it’s on the softer side (not too technical). Whenever I start thinking about my writing future, where my books I’m writing now might fit, I always circle back to one giant fear. That I’ll never find a fit for my books. I’ve had two friends lose their publishers. One has jumped full steam ahead into self-publishing. Which is great. It fits her books well and she’s happy there. (At least I view her as happy, despite the setbacks.) The other is still sorting out her best option. I’ve seen people become very jaded very quickly with the traditional publishing process. I’ve seen them start to diversify their list, some traditional and some self-published work. I see some friends set a backbreaking pace for themselves in self-publishing. I see so many paths, none of which feel right for me, for my books, for my personality. I need to stop trying to fit into the molds others have made for themselves. I know this, but it doesn’t stop me trying. And worrying. But I know I don’t fit anywhere right now. I’ve never fit in, my whole life. I’ll probably always be the girl no one knows what to do with.